It’s been a long time coming, but the latest Final Fantasy game will finally release on PC in a couple of days. Ahead of this, Square Enix has released a PC demo of the game which is now available on Steam, Origin and the Microsoft Store. According to the Japanese publisher’s website, this demo gives players access to the entire first chapter, which includes the tutorial and a series of quests. This will allow you to determine whether your rig is up to the task of running this PC version of Final Fantasy XV (although you can imagine this is unlikely to be the case if your machine doesn’t meet the minimum system requirements which Square Enix made public several weeks ago). The demo requires a pretty hefty 21 GB to install though, but does include support for 4K resolution. This combined with support for the latest graphical technologies like Nvidia’s “Hairworks” (which as you can imagine allows for more realistic in-game hair) should make Final Fantasy XV one of the prettiest games on PC this year. Originally released in November 2016 on PS4 and Xbox One, Final Fantasy XV was both well-received by fans and the gaming press, even if quite a few PC gamers were disgruntled by Square Enix’s decision not to release the game on PC back then. But game director Hajime Tabata showed his support for a PC version last year (while also expressing reserve about users coming up with salacious mods for the game…), and thankfully a full PC version launch is now only a few days away. 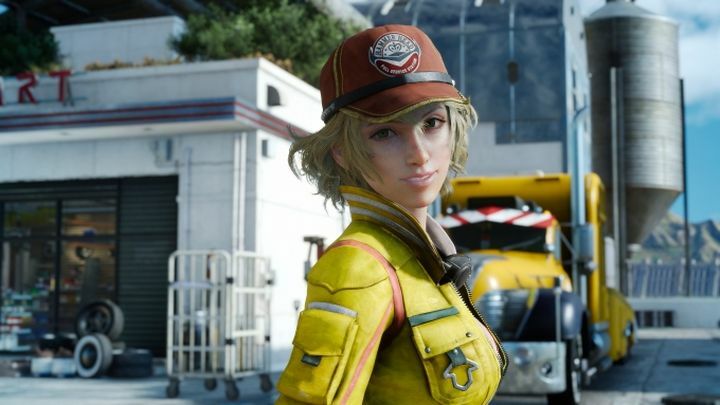 Also interesting is the fact that those who purchase Final Fantasy XV through the Windows Store will be able to enjoy cross-play with Xbox One users, while PC saved games will also work with the Xbox One version of the game, something that those who own that version of the game will certainly appreciate. Aside from this, the game will also feature all the DLC and extras which Square Enix has put out for the console versions over the years, and which are also included in the upcoming Royal Edition of the game for consoles. PC gamers who are Final Fantasy fans will no doubt be looking forward to this game then, which is slated for a digital release on March 6 worldwide.